It has been a while since I have updated my Highly Recommended list of products so as Spring is fast approaching I thought I would review this and start afresh. 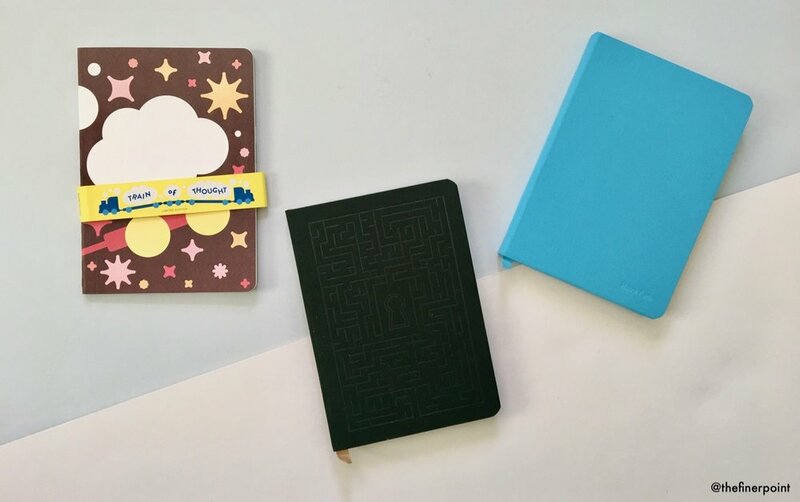 The list of products included on this page are the things that I enjoy using, they’re items I think are accessible to most people and its simply a good starting point and nice stationery. Lamy entry level fountain pens including the Safari and AL Star are among some of the best. They come in a whole host of colours and can be adapted to suit the users preferences. Pilot Metropolitan - This is a fantastic entry level fountain pen from Pilot. It has an aluminium barrel giving it some weight in a range of Japanese nib sizes. There are also a number of different colour options in the Metropolitan giving you plenty of options. TWSBI 580 - This is a step up in the land of fountain pens mainly due to its piston filling mechanism. There are plenty of choices with the TWSBI line but the 580 is a great size, has all the nib variations you could want and writes really really well. Palomino Blackwing - The Blackwing pencils appear a little special with their iconic design, different graphite cores and beautiful lacquer finish. There are lots of variations since their limited editions were launched but the staples, the MMX, the Pearl and the 602 are classic pencils. Staedtler Mars Lumograph - I love this pencil. I always use the H grade as I prefer a harder graphite for taking notes and also sketching. 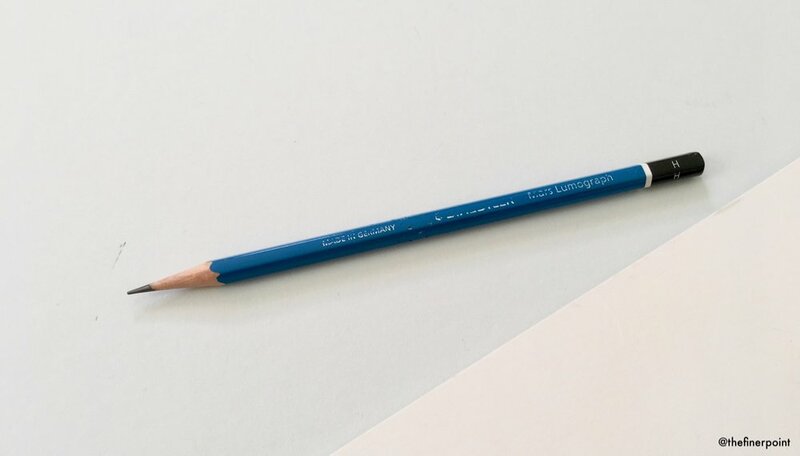 They come in the complete range of grades from the soft sketching pencils through to the harder graphite grades. The weighting is lovely and the blue lacquer is dreamy. Zebra Sarasa Clip - This is my favourite gel pen. It has a great range of colours available and they write really well. You can get a range of different tip sizes but my personal favourite is the 0.5mm. Baron Fig Squire + the Schmidt P8127 refill - I call out the refill here because it’s really very good and it helps makes this pen special. Also you can get it in a lot of different pens so if the Squire isn’t your thing, the Schmidt refill is one to test. The Squire is a great pen. I love the fact its one piece of aluminium and therefore no caps to loose. There are lots of colours available and special editions (if you can grab them on time). Baron Fig - I enjoy Baron Figs paper products, especially their Vanguard soft cover notebooks which come in a range of sizes. They take fountain pens, pencils and brush pens well, come in different rulings and lots of different designs. Field Notes - these are my regular pocket notebook carry. They’re great fun and have a strong community of users. The colors limited editions continue to push the boundaries and experiment with size, formats and paper. There is never a dull moment with a Field Notes pocket notebook, which is why they had to make my list. Leuchtturm1917- this is my Bullet Journal notebook of choice. This notebook is the perfect size, it comes in great colours and has a high quality paper stock. Travelers Company - The paper in the Travelers Company notebooks is excellent. It handles so many different types of pen, pencils and inks. They are my one stationery constant and I love using these notebooks. Tombow Fudenosuke Brush Pen - I love this brush pen. It comes in two sizes, firm and soft and is a nice brush pen to experiment with. I think its a great starting point for beginners to brush lettering giving you time to learn how to control the brush but still produce some nice lettering. Faber-Castell B - This was one of the first brush pens I used mainly because it's waterproof and therefore great for lettering envelopes. Sailor ink - this is a new addition to my highly recommended list. I have become a huge fan of the Sailor Blue-Black ink and use this regularly. Pilot Iroshizuku ink - I really love the Iroshizuku line of fountain pen inks and have several different colours in my collection. They are lovely and wet inks that flow well in most fountain pens I have used and they come in a gorgeous array of different colours. Diamine ink - Diamine are a British brand that produces a whole host of fountain pen ink colours. I have tried several different colours and have never been disappointed. They also offer cartridges in a number of their ink colours which I have used with the Kaweco Sport fountain pens. Nock Co. Sinclair - this is a pen case and notebook holder which kind of makes it the perfect storage case. The durability of these cases are excellent. Hightide Pen Roll - these pen rolls are excellent. It can be as small or as fat as you like and the material canvas is really nice. The London Parchment - I love Priya’s posts and especially her photography. There is always something fun here to read and enjoy so be sure to check this blog out. Wonder Pens - I love the Wonder Pens blog. Not only do you learn lots about different stationery products but you also get some insight into the personal workings of a family run stationery store. All Things Stationery - Tessas reviews and posts always catch my eye. The products reviewed are different to some of the standard stationery blogs out there and I am always envious of her photography. The stationery shops map has also proved very useful so be sure to check this out. 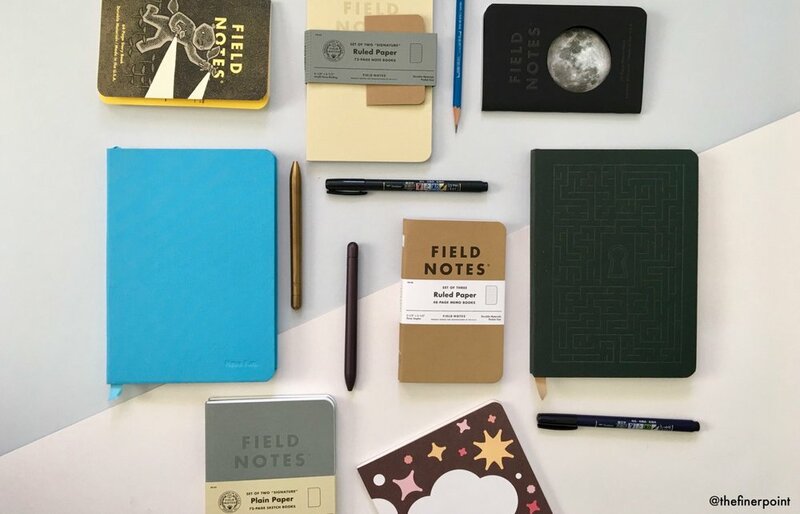 Three Staples - Jinnies posts on all things Field Notes have become well known within the stationery community. The links she makes between different editions are brilliant and again the photography is on point.